The Green Girl visited The Mile High City, Denver, this week for work. Jill from Run With Jill generously offered to pick me up from the airport. It was so much to hang out with Jill. 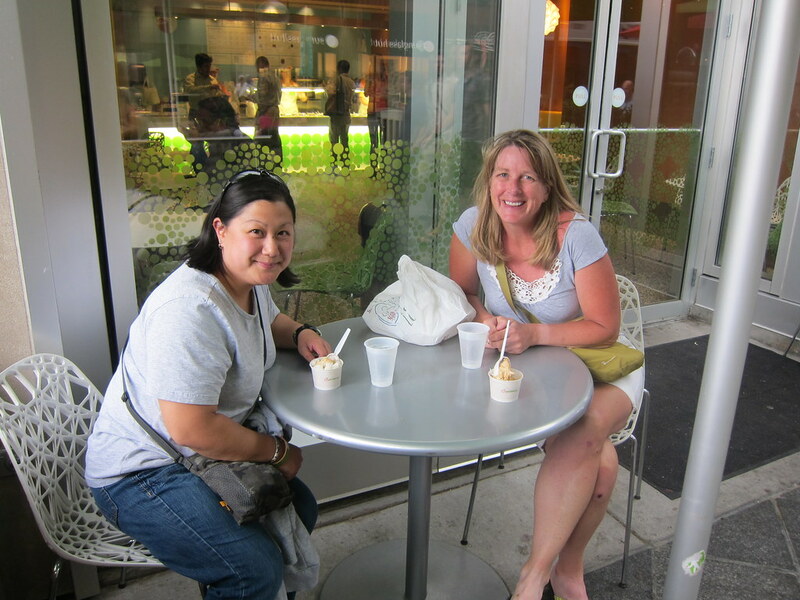 We had Mexican food for lunch, walked along 16th Street Mall, and then we stopped for a treat at Pinkberry. 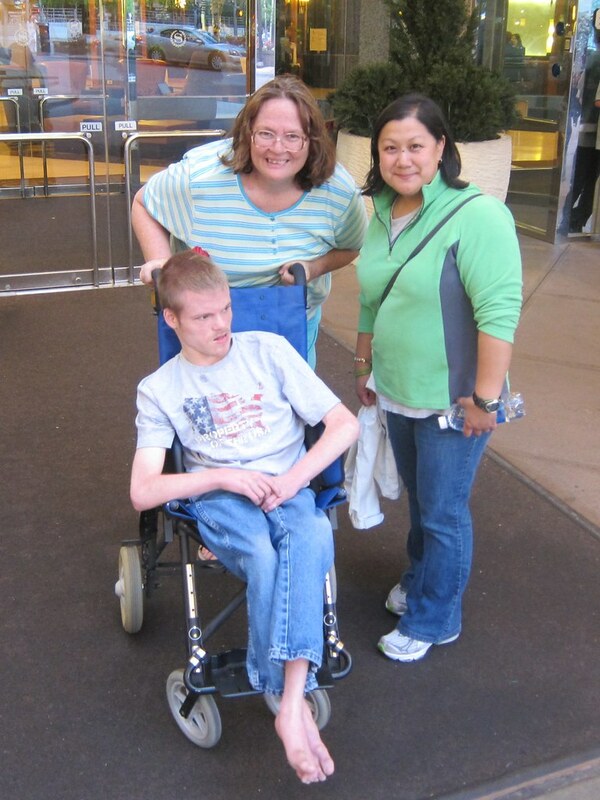 Later in the evening, a fellow Angelman Syndrome family, Cindy and PJ, came by my hotel so we could meet. Cindy and I chatted as we strolled up and down 16th Street. PJ enjoyed the sights and sounds of the street performers before they headed home. When I asked Jill for running recommendations at lunch, she'd suggested Cherry Creek Trail. 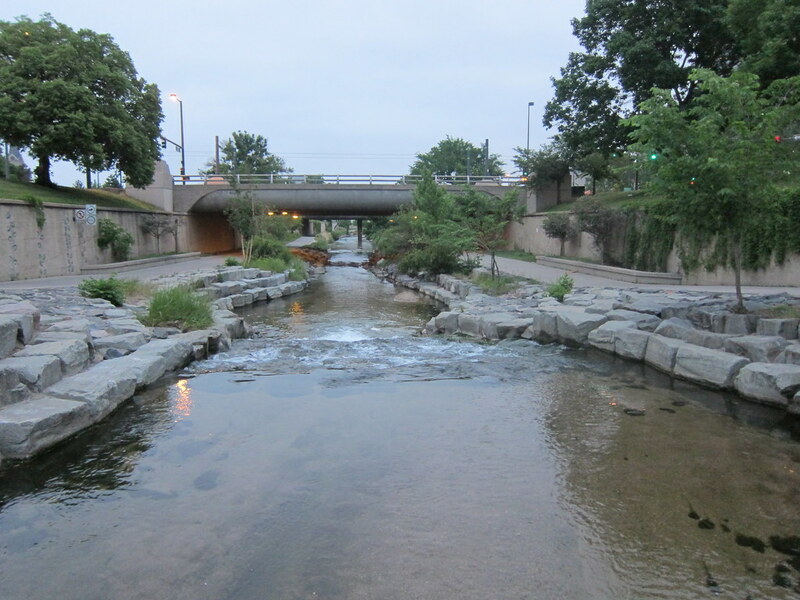 Cherry Creek Trail is a 40-mile route that begins in downtown Denver and connects the cities of Parker, Centennial and Franktown. More than one person made a comment about the altitude but, thankfully, I didn't experience any unusual shortness of breath or dizziness on my runs. I really enjoyed running around Downtown Denver but the Cherry Creek Trail was definitely the highlight. I liked how the cyclists are separated from the pedestrian path. I was much more relaxed knowing I didn't have to worry about getting hit by a bike. I wished I could go for a longer run to explore more of the trail but my time was limited by early morning work sessions. I thoroughly enjoyed myself in The Mile High City and look forward to visiting it again in the future. What a wonderful trip! Love the pictures. Very interesting about bike trail seperated from runners. Love Denver...glad you had a good time. If you have to travel for work, that's not a bad place to go. Sorry about not getting back with the route today, I didn't get it until late yesterday and was out all day and most of the night and didn't end up going with them anyway. That is so great! That looks like a super trail to run. I must say living and training at altitude certainly helps a lot. Denver is a great city--glad you got to take it in both as a tourist and a runner! And fun to meet Jill--I'm doing the same in a couple of weeks! Green Girl Meets Jill...how fun! I love Jill. She is SO human, right? So thoughtful as well. How exciting that you were able to run out there and enjoy the trail! Have a nice week, GG! I've only been to Denver once. It's beautiful. Can't beat Colorado for scenery and fresh air. Looks awesome! Glad you enjoyed yourself. And I agree that it's easier to enjoy a run when you're not afraid of getting mowed over by a bike.